Detroit has dropped some major NEW in the past few months, and we’ve been exploring it all! Here’s our list of new establishments to shop and visit while you’re in town. Last month we had the pleasure of giving a new shop, Good Neighbor, a warm welcome! Their grand opening bottle pop was held at their location, 1435 Farmer Street, Detroit, with discounts, gift card raffles, complimentary champagne, and a table full of treats including Chik-fil-A, yum! 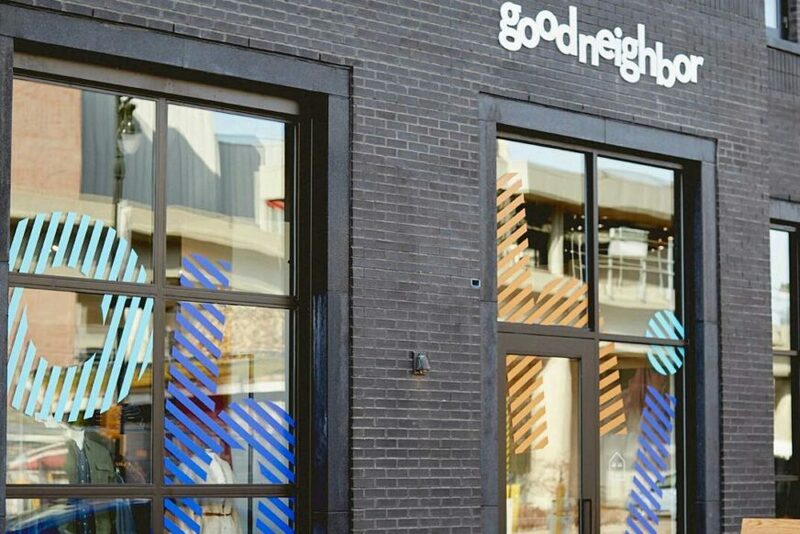 Be a good neighbor and stop by to shop their line of trendy womenswear and menswear while they’re still new to the neighborhood! If you thought Shinola was a big name before, then you’ll be shocked to see how big they are now. Several stories high and 129 rooms to be exact. We’re talking about the new Shinola Hotel to hit Detroit. 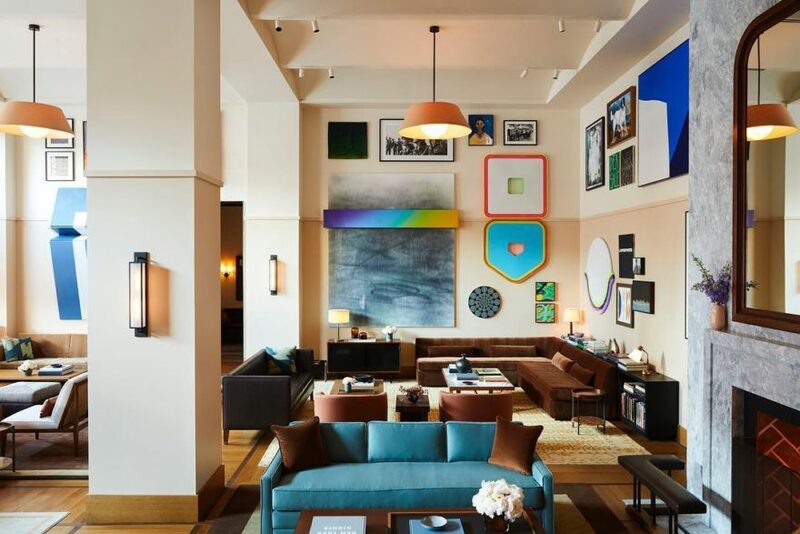 Not only is every inch of the hotel a beautiful work of art, but the entire development is home to several new international and local fashion stores to shop along with your stay! 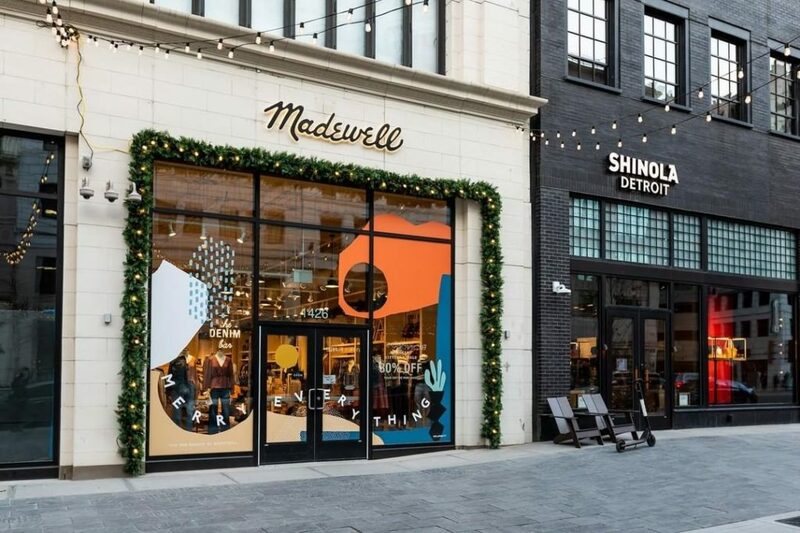 If you haven’t made your way to Madewell in Detroit yet, make your way there now! Located at 1426 Woodward, this women’s fashion store features goods from local artists, along with the Madewell brand. Not only do they support local brands, but they give back as well. Ten percent of their proceeds from their grand opening went to benefit Living Arts, an arts education nonprofit for Detroit youths! If you haven’t been to Bird Bee on Griswold in Detroit lately, or at all, now is the time to drop everything and go. Why’s that? They just launched their first-ever vintage collection of original designs and counterfeit copies. We’re talking designers like Gucci, and vintage band tees from Nirvana, Metallica, Led Zeppelin, and much more! 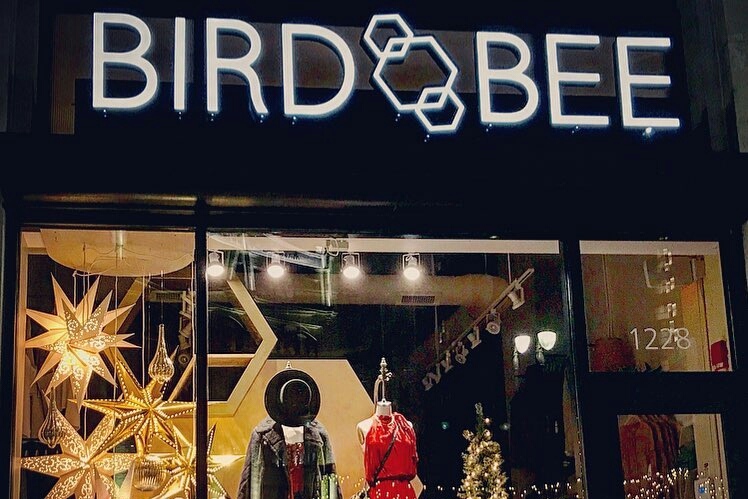 If you love Bird Bee, you’ll be smitten over her sister company, Urban Angelo. 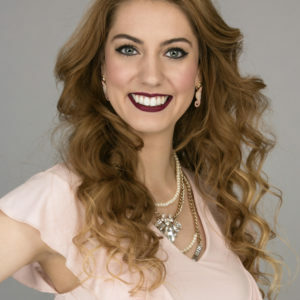 Owner of Bird Bee, Taylor Bolleber, opened her second shop on Erskine in Detroit at the end of last year. 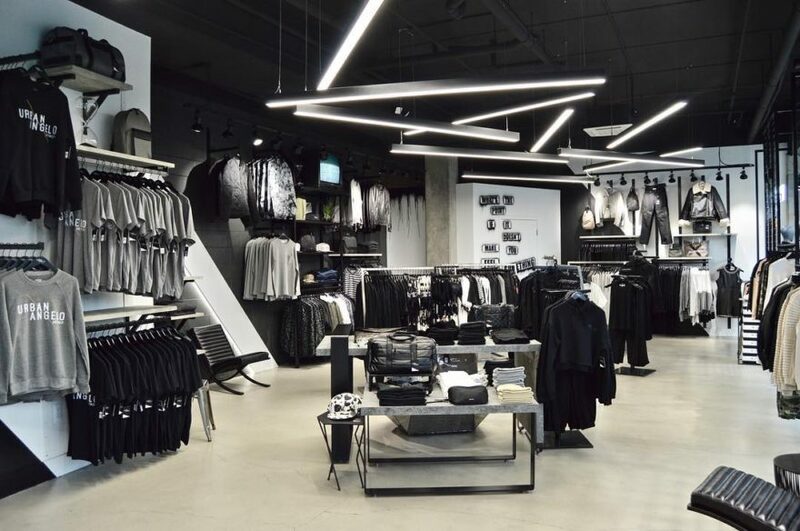 This retailer includes fashion inspired by art, music, and a more minimalist approach. Targeting a creative community, this store is sure to see lots of collaborative events with local artists, musicians, and Detroit designers!